Jeff is seriously one of the coolest seniors I have photographed. He's laid back but focused, has an insanely positive attitude, and didn't hesitate for a minute when I asked him he wanted to go for a walk in the river. He LOVES the great outdoors. Jeff spent a summer in Alaska for an internship and was immersed in nature, surrounded by some of the most scenic parts of our planet and enjoyed every minute of it. Back home in the Pacific Northwest, he is most content when he has his feet in the water; whether its a lake, river, or the sea. 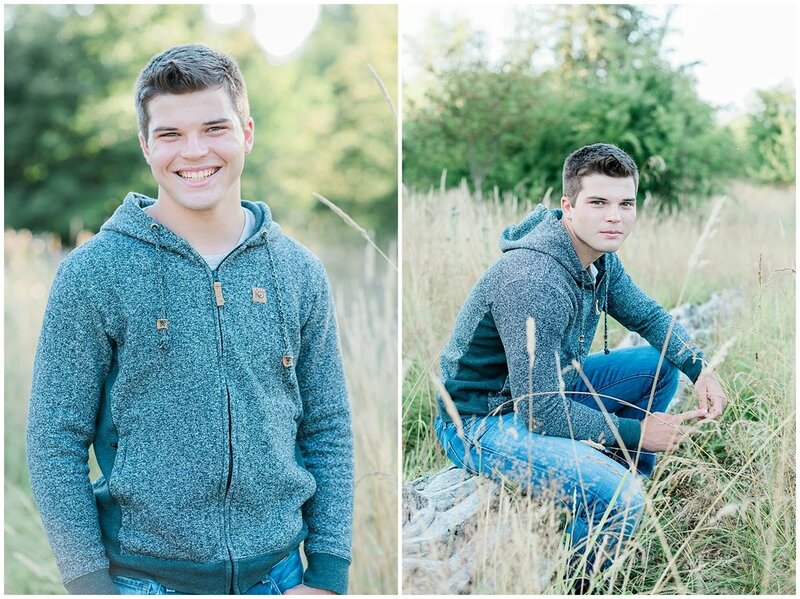 Jeff is a student at North Thurston High School where he plays on the football team. After graduation, he's headed to Central Washington University to study pre-med. Jeff, it was such a pleasure to meet you! I have no doubt that you are going to conquer your senior year and then every other goal you set your mind to thereafter.